Will this be for production or testing? Something like this is on my whishlist for a few months now. I’ve no hands on experience with cisco’s vxlan, so i can’t really help there. what kind of input do you expect? Since there are many way’s to go from here. 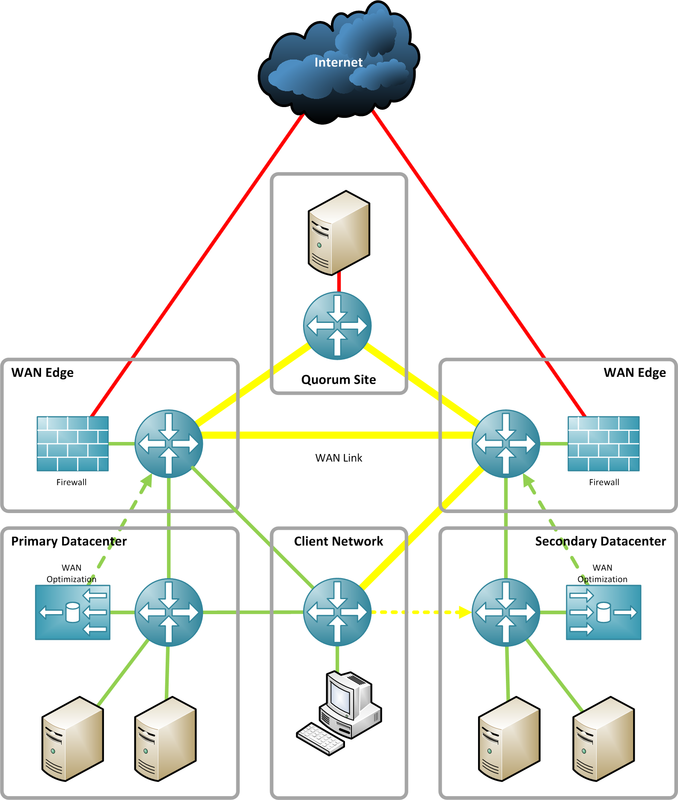 My idea is to place a Linux based bridge between the links that are connecting booth simulated datacenters. I found some weeks ago I nice tutorial how to implement such a bridge and control bandwidth and latency. Currently I have to wait until I have enough money to get some hardware for this project. This is only for testing! I expect to get some experience with streched cluster configuratoons and the problems that appears with such configurations. Well, just drop the last „)“ from the URL. http://www.oracle.com/technetwork/articles/virtualization/wartak-rac-vm-099826.html They keep changing the styles and formating although you should get the idea/concept. The driving script for /sbin/tc binary can be fetched from here http://jakub.wartak.pl/db/oracle/qosracinit/ (however my idea was to manage it it from the XEN hypervisor dom0 side not additional VMs as bridges – but it will work too). Linux traffic shaping is cool, but mostly not very popular, google IMQ, HFSC, RED (lots of fun especially fun with TCP), ESFQ etc. If you want to go low then go with multiple VMs with low RAM(256-384MB) all running e.g. Quagga with eBGP and iBGP, plus perhaps two „virtual ISPs“ (simulated just by another set of VMs with Quaga)… you could even deploy 2x VM like this per data center and have some fun with VRRP… of course everything needs to be done by yourself, but you could stick to some ready-to-use VM appliances, not sure if Vyatta supports images.